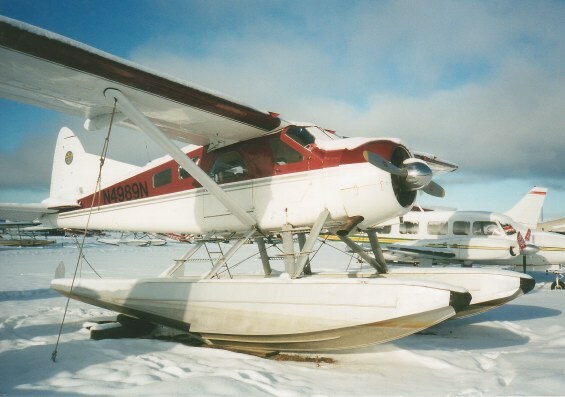 N4989N at work on the narrows. 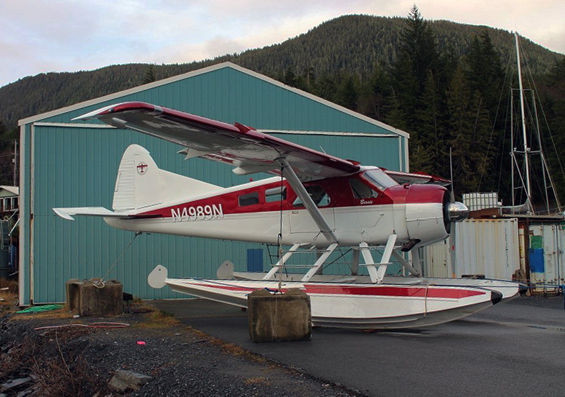 N4989N down south in Ketchikan. 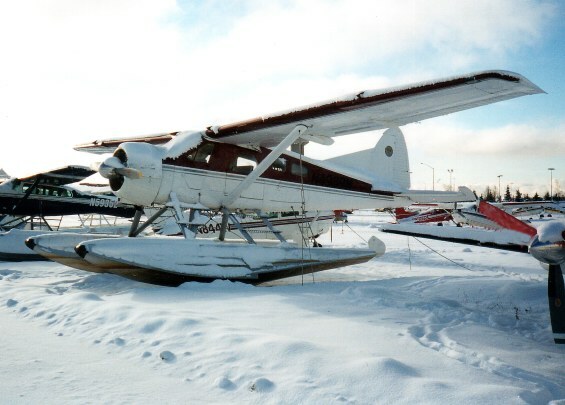 N4989N snow covered at Anchorage, Alaska. N4989N with "that" tail at Vancouver, BC. 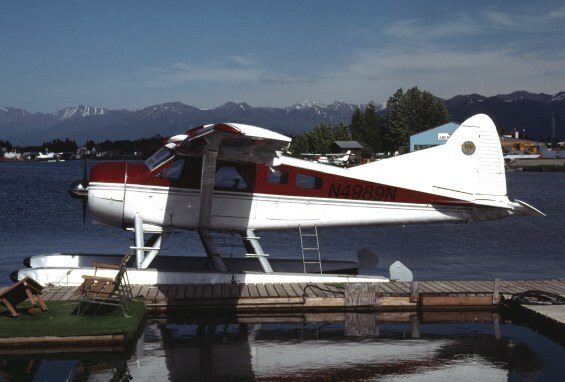 C-FOCH at Vancouver - CYVR, British Columbia. 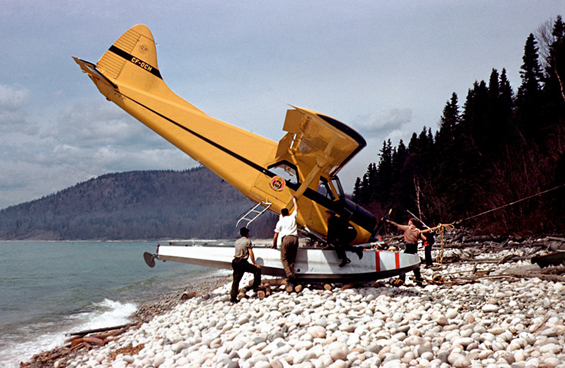 CF-OCH being recovered after engine failure - Lake Superior. Entries preceded by dates are from Department of Transport files. 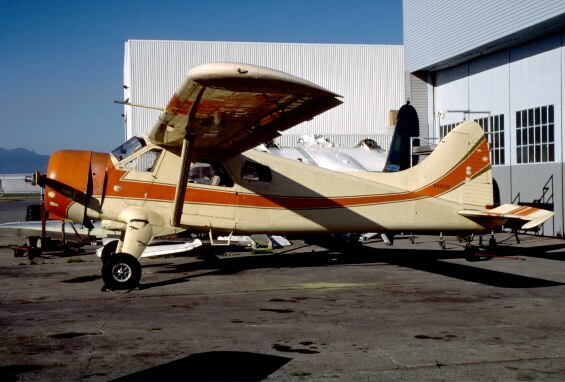 10-Nov-1948 Application for registration of an aircraft, DHC-2 s/n 31, Department of Lands & Forests, Toronto, ON. 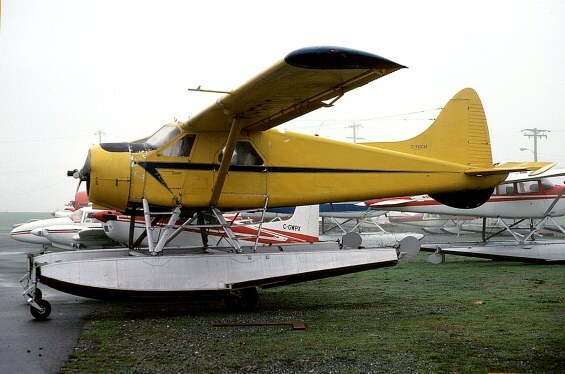 15-Dec-1948 de Havilland Canada advise Department of Transport that “Lands & Forests” will be the owner of DHC-2 s/n 31. 16-Dec-1948 Test flown by G. A. Neal for Aircraft Inspection Release Certificate. 17-Dec-1948 Aircraft entered on Register of Canada (actual Certificate of Registration document dated 07-Jan-1949, the day it was typed and mailed). • CF-OCH Province of Ontario Government, Department of Lands and Forests, Sault Ste, Marie, ON. Regd 23-Dec-1948 and operated until 1968. 07-Jan-1949 Certificate of Registration #7646 issued to Department Of Lands & Forests. 07-Jan-1949 Certificate of Airworthiness #2942 issued. 1950s Operated on Edo 4580s. Accident: Smoke Lake, ON.Lat 45.32N, Long 78.42W. 1530EST. 11-Jan-1965. 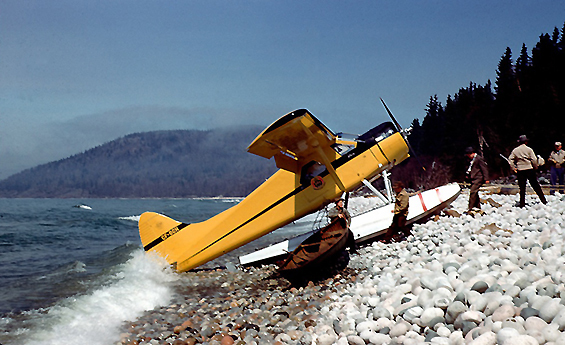 Following a flight from Toronto Island Airport in the wheel/ski equipped aircraft, the pilot was unable to prevent the aircraft from striking the rocky tree covered shore at the upwind end of the landing run. The pilot The combination of light snow cover and glare ice which resulted in the loss of control was landing ol during the landing run would not have been apparent until after the landing had been commenced. The aircraft suffered substantial damage. No injuries were recorded. Accident: Smoke Lake, ON.Lat 45.32N, Long 78.42W. 1530EST. 11-Jan-1965. 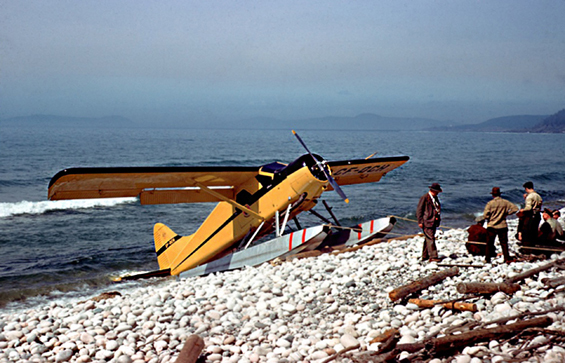 Following a flight from Toronto Island Airport in the wheel/ski equipped aircraft, the pilot was unable to prevent the aircraft from striking the rocky tree covered shore at the upwind end of the landing run. He landed in a north north-westerly direction which provided a landing run of about 1¼ miles. He indicated that the surface was glare ice covered by 1½ to 2 inches of fluffy snow which was not adhering to the ice surface. He stated that after the aircraft was slowing down following a normal landing, the aircraft veered to the left and swung round completely without any response to his attempts to obtain control with the use of rudder and brakes. His attempts to regain control using the engine resulted in the aircraft gaining speed. It then headed for the shore which it hit with a heavy impact. 25-Apr-1968 Certificate Of Registration and Flight Permit for ferry flight from Sault Ste Marie, ON., to Terrace, BC for Alco Auto Sales Ltd., Terrace (G.E. Reum). 17-May-1968 Certificate of Registration #45311 issued to Alco Auto Sales Ltd.
17-May-1968 Certificate of Airworthiness re-issued. • CF-OCH Alco Auto Spares Ltd., Terrace, BC. Regd 17-May-1968 until prior to C of A issued on 11-Jul-1973. 1970s On Edo 348-4580 amphib’s. 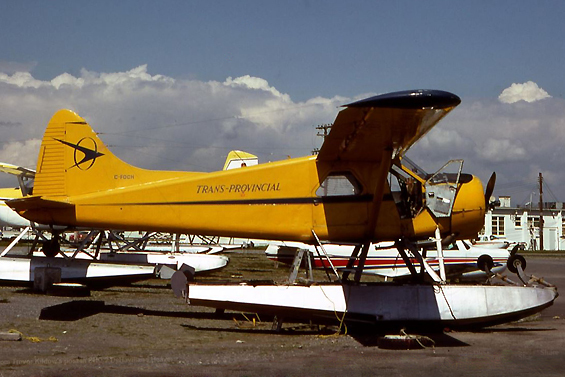 14Jul-1972 Certificate of Registration issued to Trans Provincial Airlines Ltd., Prince Rupert, BC. (under lease from Alco Auto Sales Ltd). • CF-OCH & C-FOCH Trans-Provincial Airlines. Regd 14-Jul-1972. Regn format changed prior to Mar-1975. • C-FOCH GE Reum Ltd., Terrace, BC. Poss. regd 13-Mar-1980. 13-Mar-1980 Certificate of Registration issued to Wilderness Airlines (1975) Ltd., Bella Coola, BC. (under lease from G.E. Reum Ltd). • C-FOCH Wilderness Airlines. Regd 13-Mar-1980. 30-MAR-1982 Certificate of Registration issued to G.E. Reum Ltd., Terrace, BC. • C-FOCH G. E. Reum Ltd., Terrace, British Columbia. Regd 30-Mar-1982. Canx 03-Aug-1984. Summary of Total Hours since new recorded on Canadian Department of Transport records. Accident: Johnson Lake, BC. Lat 53.53N, Long 129.28W. 15-Aug-1983. 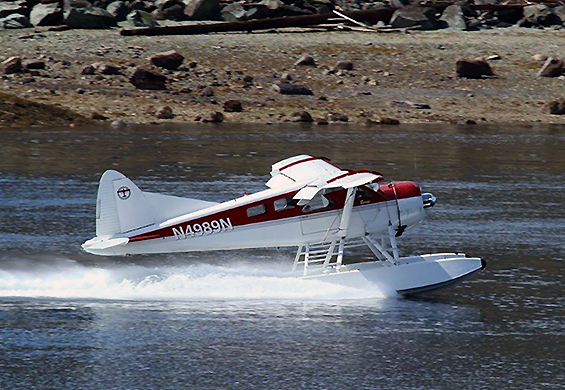 After the touchdown on the glassy water surface, the amphibious aircraft swung violently to the left then to the right striking the lake surface with both wing tips. The aircraft nosed down submerging the engine but righted itself and came to a rest in a normal attitude. It could not be determined what caused the swing. No injury reported. 24-Apr-84 Bill o f Sale, G.E. Reum Ltd., to Malcolm Menzies. Juneau, AK. 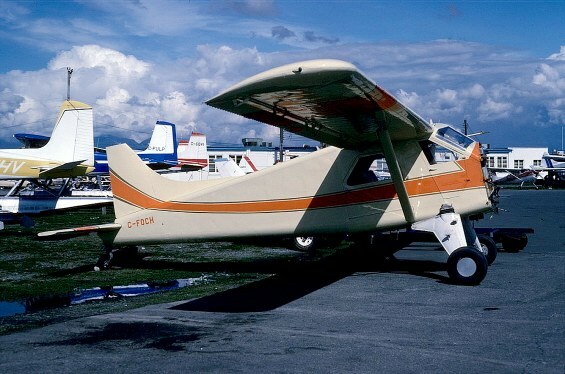 (G E Reum then applied for and received the marks CF-OCH for Cessna A185F msn 18502951). • N4989N Malcolm Menzies, Juneau, AK. Regd 02-May-1984. • N4989N Philip G McCormick, GMF Barrigada, Guam. Regd Apr-1987 & 21-Aug 1989. Canx 21-Sep-1992. 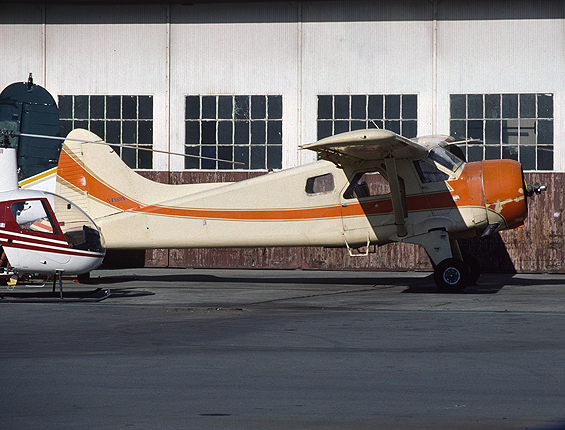 Noted 04-Jun-1994 at Pacific Aircraft Salvage, Vancouver, BC. • N4989N Spike Nasmyth, Kent, WA. Regd 30-Mar-1995. Canx 08-Apr-2002. • C-FOCH Reported with Advanced Wing Technologies, Vancouver, BC., in Oct-1997 (See note). Note: CCAR records do not show C-FOCH in 1997 although seen in such marks by webmaster at Victoria for the 50th Anniversary Conference meeting on 18-Oct-1997. 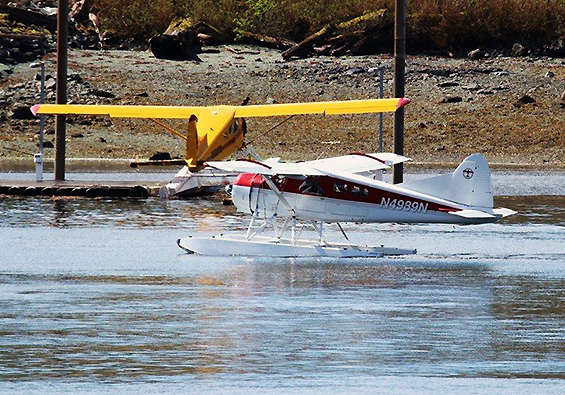 • N4989N David A. Klosterman, Clayton, WA. Regd 30-Apr-2002. Canx 05-Aug-2002. • N4989N Kamichia M. Darby. Kenai, AK. Regd 26-Aug-2002. Canx 01-Sep-2003. • N4989N Harold Lambeth Snr., & Corlene Lambeth, Fort Bragg, CA. Regd 22-Apr-2004. • N4989N Harold D. Lambeth II, Sitka, AK. Regd 03-Jun-2014.